The Saudi Defense Ministry has lambasted Israeli media that the Chief of Staff of the Saudi army held talks with his Israeli counterpart during a top military conference in the U.S. early this week. 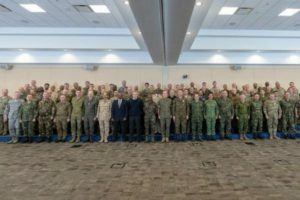 A source who did not want to be named told the kingdom’s state-run news agency SPA that general Fayyad bin Hamed Al-Ruwaili did attend an international meeting of defense chiefs in Washington at the Andrews Air Force Base but Israeli reports that the Saudi Chief of Staff met with Gadi Eizenkot on October 15-16 are untrue. The source told SPA that the two military commanders did not hold any “bilateral talks”. 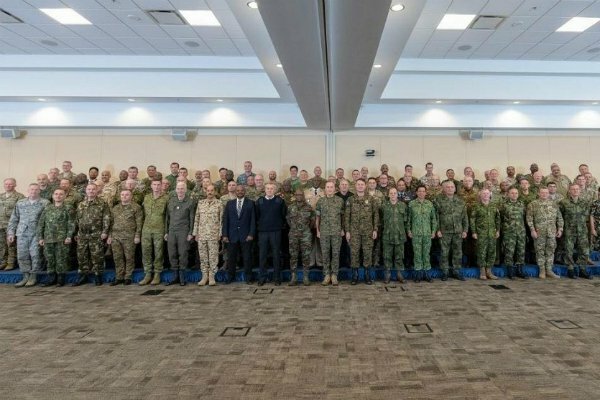 The conference hosted by chairman of the U.S. Joint Chiefs of Staff, General Joseph F. Dunford discussed ways to combat terror groups. Several reports emerged in the past over secret high-key meetings between the kingdom and Israel. Saudi Arabia, which does not officially recognize Israel, has always denied the reports but Israeli authorities have boasted good ties with the Arab world in many areas, including security and cooperation to overcome Iran, the archenemy of both Saudi Arabia and Israel. Saudi Crown Prince Mohamed bin Salman, during the U.S. leg of his international tour in March, sounded in favor of a rapprochement between the two countries. The change in dynamics pushed his father to renew support to the Palestinians and the kingdom’s position regarding Jerusalem that Israel and President Trump claim is the Israeli capital.